Nesta, the UK based global innovation foundation has, from the many thousands of applications it received, selected Yorkshire based digital content agency, Peel Interactive, as one of the grantees of its Amplified fund 2019 – a pilot programme which supports cultural and creative organisations develop digital ideas that generate social impact and improve lives. The funding from Nesta will kick-start a social partnership between Peel Interactive and the Doncaster Children’s Services Trust EPIC Youth Crime Prevention Service, their mutual aim being to create a pilot virtual reality education tool to help challenge attitudes, change behaviour and raise awareness of the dangers of knife crime and child criminal exploitation by organised crime gangs. Jessica Wright, the chief operating officer of Peel Interactive, said: “We are thrilled to be one of the 13 organisations selected by Nesta for Amplified 2019. 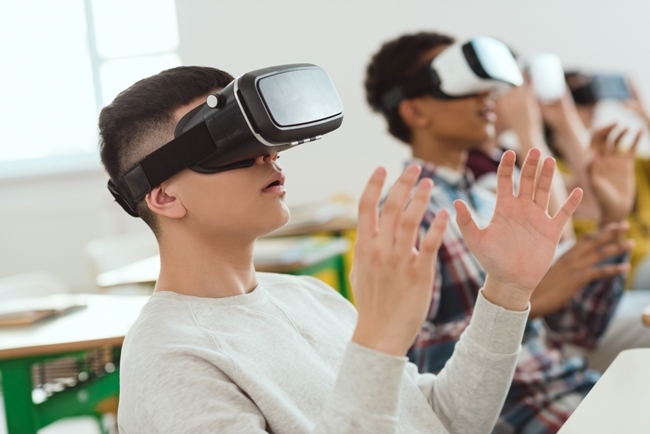 Our collaboration with Doncaster Children’s Services on this project will be incredibly innovative, incorporating virtual reality (VR) technologies in a unique way to create learning resources for, of and by young people with the aim of emotionally engaging them in meaningful discussions about important topics including; knife crime, gang crime and sexual exploitation. Nesta is offering £13,000 of grant funding, mentoring and six months of structured support, to 13 cultural and creative organisations to develop digital ideas with big impact. Nesta is a global innovation foundation. It backs new ideas to tackle the big challenges of our time, through its knowledge, networks, funding and skills. Nesta works in partnership with others, including governments, businesses and charities. It is a UK charity that works all over the world, supported by a financial endowment.